The singular Greek auteur has already won two prizes at Cannes. Could this be he year he takes the Palme d'Or? This is the latest installment of a series exploring significant films from the careers of directors showing new work at the 2017 Cannes Film Festival. 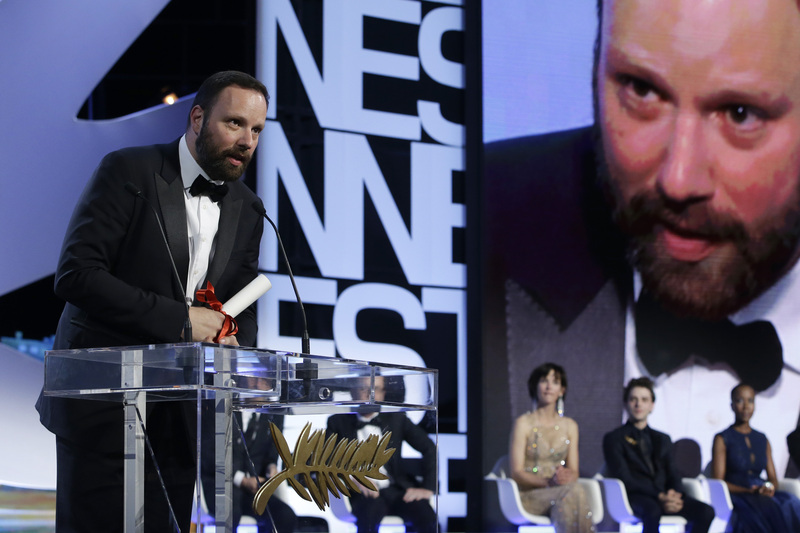 Yorgos Lanthimos would never admit to being at the forefront of a movement, but that hasn’t stopped him from becoming synonymous with the so-called Greek Weird Wave. He’s also transcended it: As with “The Lobster” before it, “The Killing of a Sacred Deer” was shot in English, features a considerably more high-profile cast than his first three films and wasn’t made in Greece. Set to premiere on the Croisette this month, his latest also carries a less oddball premise than we’ve come to expect of Lanthimos: Colin Farrell plays a surgeon whose life begins to unravel after he takes a teenage boy under his wing. (Compare that to “The Lobster,” which centers around a hotel whose residents have 45 days to fall in love lest they be turned into an animal of their choosing, or “Alps,” about a team of “grief surrogates” who play-act as the recently deceased for the benefit of bereaved families.) If his previous work is any indication, however, that ostensibly normal synopsis probably doesn’t come close to capturing the film’s essence. Set within the confines of a Greek household whose inhabitants make Oedipus look well adjusted, the film concerns three 20-something siblings whose parents have concocted for their children an insular existence that denies basic facts of reality and is violent in its repression. It’s also a comedy. Like all of his subsequent films, “Dogtooth” is marked by a jet-black sense of humor whose deadpan (anti)comedy is delivered with a straight face — Lanthimos never winks at the camera to assure you he’s in on the joke and it’s okay to laugh. When you nervously giggle along to the dance scene in “Dogtooth” or the interrogation in “The Lobster,” it’s partly because they’re genuinely hysterical but also because you’re unsure what else to do in the face of such despairing oddity. It wouldn’t be an exaggeration to say that “Dogtooth” represented a watershed moment nearly 7,000 miles away from where it was made. The first new release to ever receive a one-week run at Los Angeles’ Cinefamily, it began a trend that continues there and at other venues across L.A.: exhibiting outré fare that struggles to find a home in normal arthouses. This article continues on the next page.